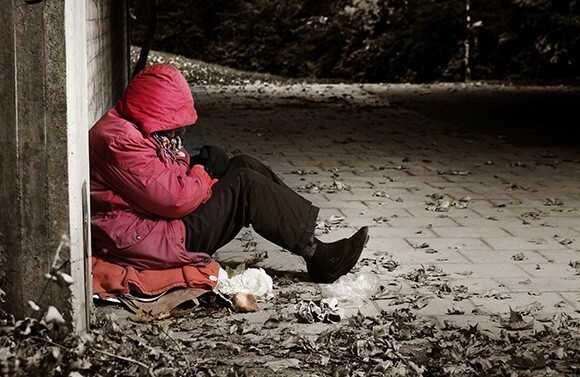 The economic impact and productivity of this country is inextricably linked to the fundamental need for a stable form of shelter for all Australians, writes philanthropist and property development expert Robert Pradolin as part of national Homelessness Week. Housing for all is the key to Australia’s long term economic prosperity – we need a paradigm shift in thinking and in doing so, recognise affordable, social and public housing for what it is: key public infrastructure. We cannot solve today’s problems with yesterday’s solutions. We need to think differently and I am not sure governments are capable of doing that. Australia is in the midst of a housing crisis. Firstly in terms of its general affordability and secondly in terms of the availability of homes for key workers such as police, firefighters, nurses, teachers (affordable or workforce housing) and for the socially disadvantaged (social or public housing). It makes good economic sense to locate these people in housing that maximises the value to the community and therefore minimises our long-term costs as taxpayers. If we do not acknowledge and address this issue now, it will only get worse and the longer-term cost to our community will only exacerbate the financial pressure to future federal and state budgets. The lack of an investment in affordable/social/public housing by successive governments has resulted in what we see today in respect the level of homelessness on our streets. It is a direct result of market failure and decades of neglect in addressing this issue with a long-term perspective in mind. Homelessness is the canary in the coalmine of a much larger issue. The economic impact and productivity of this country is inextricably linked to the fundamental need of a stable form of shelter to all its residents, rich or poor, so they can properly contribute to the economic prosperity of Australia. Australian Urban Housing Research Institute (AHURI) has done numerous studies quantifying this issue and, from a government perspective (federal and state), it is in everyone’s long term economic interest to provide shelter for people that cannot afford market housing. It just costs us as taxpayers too much in the long term if we don’t. Unfortunately the economic and social consequences that are permeating through our society are not recognised in our general consciousness and therefore not front-page news. If we don’t recognise and address this issue, it will eventually become front page news and the cost will be a lot more significant. We may not recognise the headline, but the underlying issue will be there. I sometimes wonder if Rosie Batty’s ex-partner was not homeless, would he have become psychotic and killed their son Luke? In many US cities including New York, Chicago and San Francisco, both sides of politics understand this dynamic and believe that investing in social and affordable housing makes good business sense. It is seen as good for the economy, it brings workers close to their jobs and lowers the overall cost to government (and ultimately taxpayers) of providing services. It generates jobs and makes for a happier society, and a happier society leads to an increase in productivity. It’s just good business. They also recognise that to get the private sector involved with the provision of below market housing, it needs to “top up” or subsidise the uneconomic portion to enable the private sector to participate and utilise their source of funds in doing so. In the US they developed the Low Income Housing Tax Credit model to create the additional funds needed to stimulate private sector delivery. It’s no different in Australia. Well placed, affordable housing for key workers (such as firefighters, nurses, teachers and police officers), located in areas where society needs their services, and public housing, where tenants have ready access to existing infrastructure, services and jobs also makes good and rational business sense. In Australia today, crime, suicide, domestic violence and depression are huge problems. I believe (and this is my view) that one of the major factors causing these issues relates to the simple and fundamental human desire to have a place to call home and the connection and belonging we experience as a result. There is a body of evidence that suggests people living in poorly located housing or more particularly, those that have no stable housing, are at a greater risk. Analysis by SGS Economics indicates a cost benefit ratio of 7:1 in respect to the economic benefit to the community of providing public, social and affordable housing in the right locations. That is for every $1 invested, we as taxpayers get $7 benefit. It’s a no brainer. But at the moment, it is currently beyond government’s ability to comprehend or to finance without looking at the issue differently. The scale in the shortfall of affordable / social / public housing problem is significant and it needs a quantum shift in thinking both about the issue itself and its social and economic consequences. The political reality is that if we are going to make any impact on this increasingly burdening issue, we need a new way of thinking about the problem along with new and innovative funding mechanisms that minimise any short-term impact to respective federal and state budgets. Governments on their own cannot fund the entire quantum needed to produce this type of housing and therefore must encourage the use of private capital. Governments need to recognise and accept that private capital will need to achieve market returns (relative to the risks) in order to mobilise itself. Therefore some form of subsidy will be required for it to invest in below market housing, however, this subsidy will be offset by the savings to the economy over time (even excluding the productivity benefits). The reality is that we have to start to see affordable, public and social housing as “key economic infrastructure” – just like privately funded roads, tunnels, hospitals and schools, all of which receive some form of government subsidy. Such recognition will mobilise private capital and change the dynamics so that it will become economically viable to invest in this essential type of housing. We need this investment to secure the long-term economic wellbeing of our cities, our society and ultimately our country and it will take decades to deliver. It is estimated that the current affordable / social / public housing shortfall nationally is around 200,000 new dwellings. If we include the 150,000 dwellings associated with NDIS, its 350,000. At an average total cost (including land) of $500,000 per dwelling, the potential size of this market is in the order of $175 billion. In America, a whole new property sector has developed around the delivery of affordable / social and public housing by the large pension funds where they develop, own and then manage a significant proportion of this type of housing stock (approximately 80 per cent with the Not for Profit sector managing 20 per cent). That sector does not exist in this country (yet). Infrastructure Australia should lead the national discussion and engage the federal government via a well thought out strategy and robust business case, for a significant shift in this space. We need to create the economic environment where over the longer term, it is economically viable for the large super funds to own and manage a large number of apartment buildings and rent them to qualifying tenants at below market rates. In simple terms, once the right level of subsidy/incentive is provided to make the returns (relative to the risks) commensurate to other investment classes, the market will compete and deliver the desired outcome in an effective and efficient manner. The subsidy/incentive required would be determined on the rental income profile of the tenants that the state / local government wishes to be serviced and would reflect the underlying local need for the social / affordable / public housing. This income profile can then be locked into the site for the economic life of the building. What this means is that if the building is sold, then the obligation is transferred to the new owner to ensure that the tenants (and any change of tenants) fit into the income criteria upon which the subsidy was originally determined. Such a national housing strategy must have bipartisan support both in principle and the implementation regime to give the private sector confidence to invest for the longer term. A long-term pipeline of future work needs to be seen by the private sector so they can confidently mobilise their capital to take advantage of this new opportunity. If the Infrastructure Victoria document All things Considered is meant to be a 30-year strategy, I do not see any clear acknowledgement of this issue nor the consequences (both economically and socially) of the ever-increasing social and economic cost of not addressing the significant shortage of below market housing. We need to develop a long term housing strategy that will see a significant increase in the level of affordable / public / social housing not only in Victoria but across the country. This can only be done by assessing the business case and then if it is compelling (which I believe it would be), creating an economic environment where the private sector (and in particular the super funds) can see a long-term commitment to delivering this infrastructure shortfall. If we all want to see the vision of Infrastructure Victoria realised that “by 2046, we see a Victoria where everyone can access good jobs, education and services regardless of where they live, where communities are held together by strong bonds, where industries and businesses thrive, and where the environment is valued and protected”, then the starting point must be a clear and sustainable national housing strategy for all. This strategic issue should be at the forefront of Infrastructure Australia’s Agenda as it is fundamental to the long-term economic prosperity of this country and the objective of full workforce participation. It needs to be recognised as one of its main strategic goals. Unless we change the way we think, we will get the same answers. 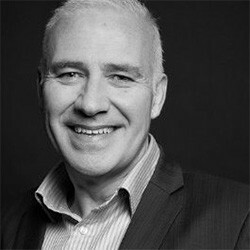 About the author: Robert Pradolin is the former general manager for Frasers Property Australia (formally Australand) and is currently engaging with the Not for Profit sector to establish pop-up homeless shelters within empty CBD buildings. Hi Robert, I am a researcher on homelessness and Chair of the Myfoundations Youth Housing Company. Interesting idea, and interested in talking about it further.